Another day, another sort of French nail!! When I think of France I think of the classic striped shirt male, garlic and onions round the neck, beret on their head, waving around some sort of french stick and this man ALWAYS has a moustache! 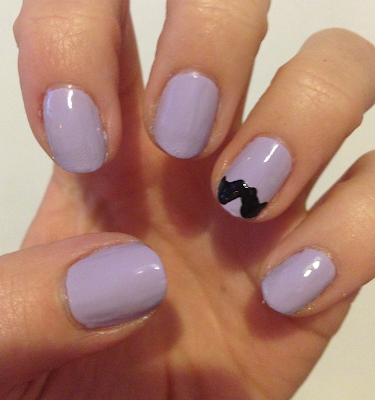 I also have quite a collection of moustache related items including my new blog design! If I was a man I would definitely be taking part in Movember! This post reminds me of a snap of me my tash necklace!! 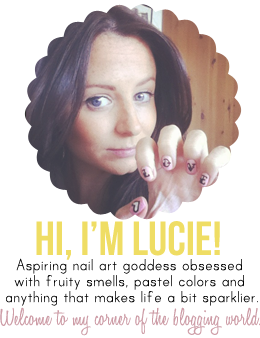 I've just been looking through your blog and you are SO talented at nail art! The most creative I get is adding a glitter topcoat so I'll definitely be looking on here for inspiration :) New follower.